You don’t need to solve for X or know the angle degrees of these shapes to appreciate how stunning geometric patterns look. From prints to handbag shapes, geometric patterns are popping up everywhere in the fashion scene. They are a fun way for designers to create real pieces of art in their clothing and accessory lines. Continue reading to discover clever ways to incorporate this symmetrical sensation! 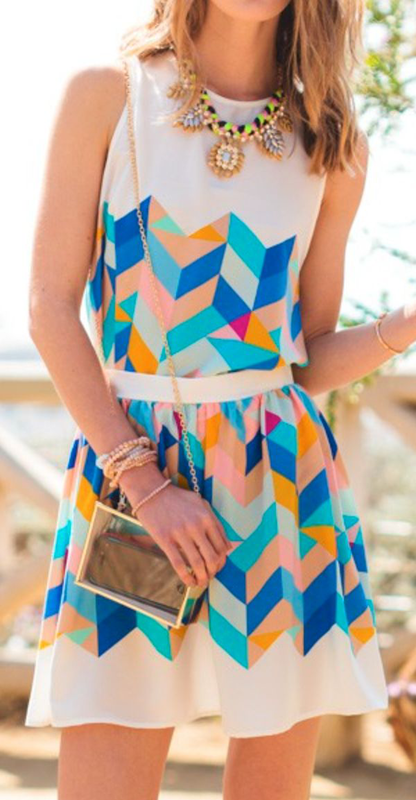 Whether you choose to wear a top, dress, a pair of pants or a romper, they all look great with a fun, geometric print. When trying this trend we suggest that you stick with one print. By sticking to one print, it allows for versatility and harmony within your look. Wearing one geometric print also creates a clean and modern look. 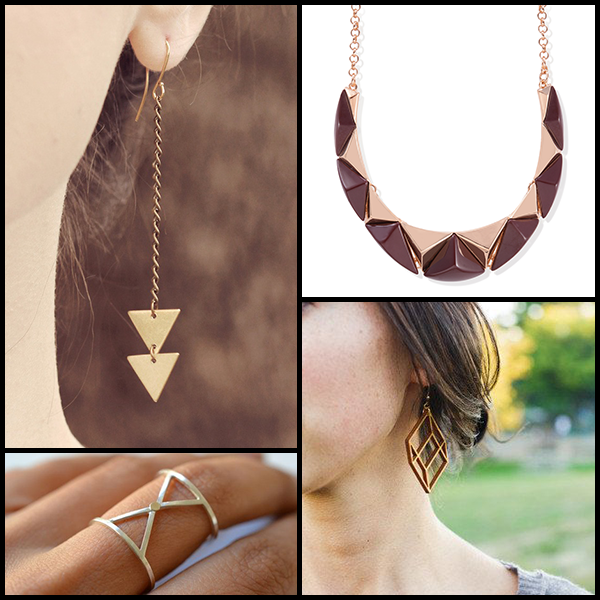 Want to put a little geometry into play in your everyday look? Consider a standout piece like a shirt or dress. A skirt that features a bright, print, but has an asymmetrical hem and contrast waistband will give your outfit an instant cool factor. *Trend Alert: A specific geometric print to be on the look out for this spring is gingham. It is very playful and preppy. When it comes to integrating this trend into handbags, think inside the box. Rectangular and square shapes triumph in the new season. Statement-making box bags embellished with lots of patterns and colors are being featured on runways. 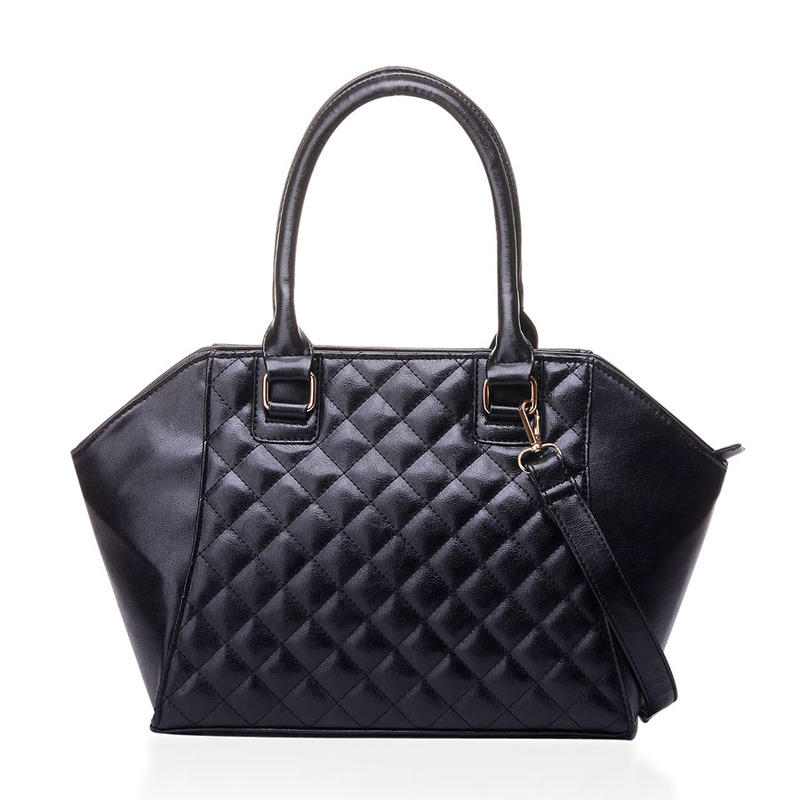 Not only do geometric, structural bags look trendy on your arm, but they will also better withstand daily wear and tear. It’s easier for this type of bag to retain its shape. Check out these sle ek and structural options. Now you should feel confident with wearing the geometric trend without looking like an unsolved math equation. No matter if you decide to fully embrace this trend or to have subtle hints of geometric patterns, let your personal style show. It’s also a great transitional pattern, so keep that in mind for next season!